What is a Transformer Snubber? It is a set of capacitors, surge arresters, fuses, and resistors typically found on medium voltage dry type transformers. What are Snubbers designed for? 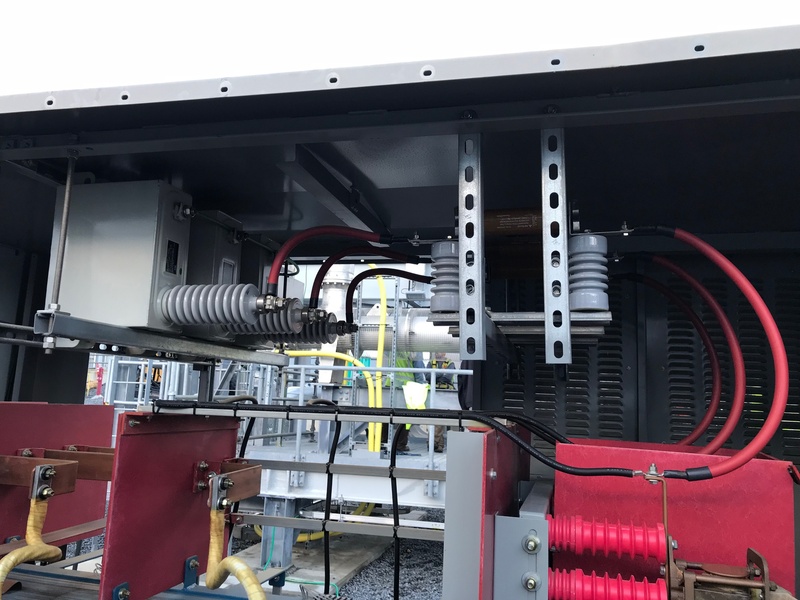 The main application has been to reduce damage to transformers during energizing applications. Energizing medium voltage transformers produces transient voltages. These transient voltages are a cause of insulation failure. Generally, most people think, “Lets just use an arrester and clip the overvoltage potential.” Well, it’s just not that simple. The next person will think, “Lets just use an arrester AND a capacitor.” Well, now you are clipping the overvoltage AND slowing down the rate of rise. This is better than having nothing, but what we really need to do is add a resistor to the equation. Adding a resistor will reduce the DC offset and provides damping. So the effects of the switching transients will not have as much of an effect on the transformer insulation. Combine the resistor with the capacitor and arrester, and now we have an RC Snubber system. What kind of transformers are Snubbers being installed on? 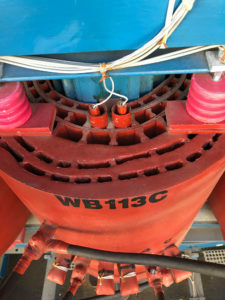 These snubber systems have been being installed on dry type transformers. Cast coil transformers have had a huge following in the recent years. Quite a few transformers being installed today are cast coil. They are still dry type transformers, but the construction makeup is a little different than your typical dry type paper insulated resin. You can see that the paper lamination’s are not visible. They are encapsulated in a resin. All that is exposed are multiple channels through the winding to allow air to flow through.